LMC Automotive’s European Light Vehicle Trade Flow Forecast reveals where some of the biggest risks lie in the event of a no-deal Brexit. Managing director Pete Kelly comments. If there are no significant changes to Brexit-related legislation in the UK Parliament between now and 29 March, the automatic operation of law will see the UK leave the EU, with or without a deal. The politics appear impossible to predict, but we can examine some aspects of a no-deal scenario, which is no longer unlikely. If the UK leaves the EU without a deal, then our assumption would be that vehicles exported to the EU from the UK would be subject to a tariff of 10% as the UK would, by then, have become a ‘third country’ under EU trade rules. It is hard to imagine that the UK would not impose the same level of tariffs on vehicles imported from the EU. For an industry which, for many OEMs, sustainably operating above a 5% profit margin is difficult, this would be unwelcome. As there is not enough margin to absorb much of the tariff-related increase, prices would rise, though probably not immediately. Around two-thirds of UK demand is sourced from EU countries, so a significant pass-through of tariffs on those vehicles would lead to a price-driven loss in UK market volume in the region of 4%. At 2018 market levels, lost volume associated with EU imports would therefore be around 100,000 units, and this would persist until the UK and EU successfully negotiated a free trade agreement, which could bring down, or completely remove, tariffs. 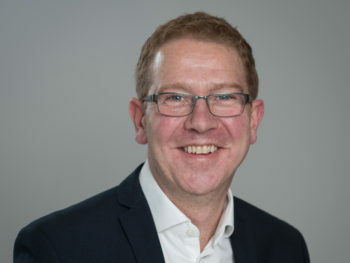 It is unclear what tariffs might be applied to UK imports from outside the EU in practice, though world trade norms imply that any tariffs imposed on EU-sourced vehicles would also have to be applied to countries without a free trade agreement with a non-EU UK (which is currently all of them). 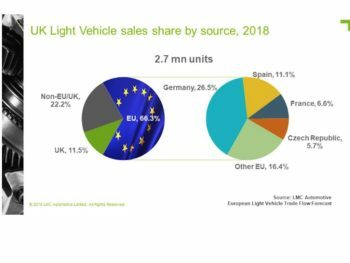 So, the tariff impact could broaden to cover the approximately 20% of non-EU Light Vehicle imports to the UK market, bringing the total lost volume to an estimated 130,000 vehicles. 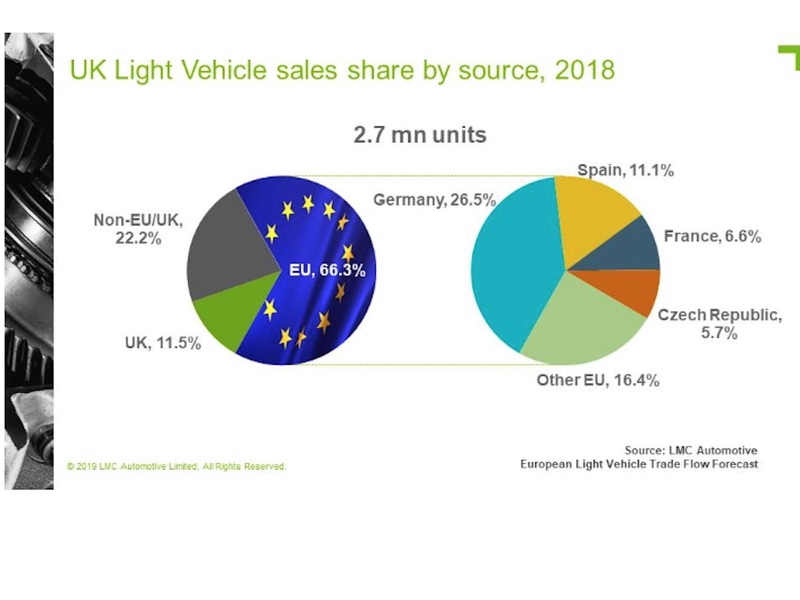 Analysis of European Light Vehicle trade flows shows which countries would be most exposed to a UK price/tariff-initiated downturn (see graphic). It is important to note that other negative impacts – such as a macroeconomic slowdown in the UK, and a further devaluation of sterling, also impacting vehicle pricing – would be expected after a no-deal exit. These effects could be at least as significant to volume.